NZ Ski provide ski and snowboard group lessons that are held on both the Remarkables and Coronet Peak ski resorts. The group lessons are guaranteed to build up your confidence and improve your skill level. 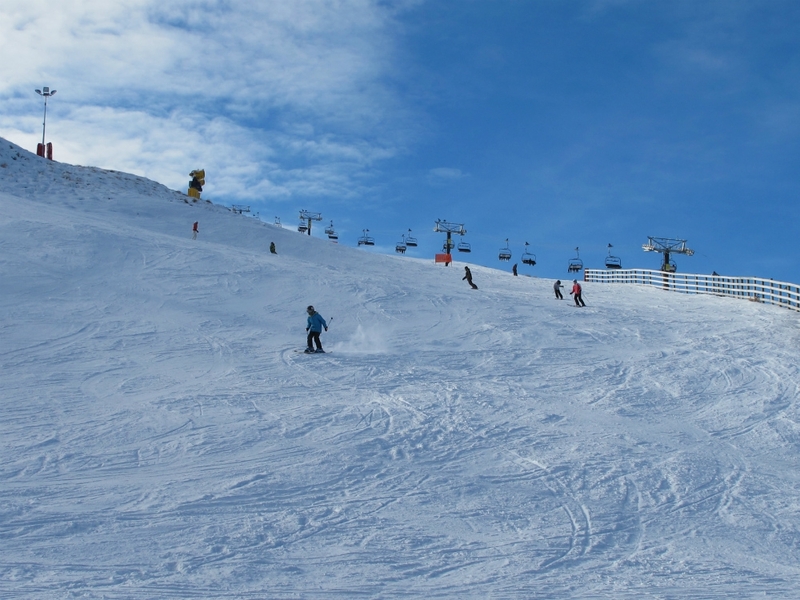 You'll benefit from the expert guidance from trained and qualified instructors that will help you become comfortable on the the best ski runs at the Queenstown ski resorts. Lessons can be chosen depending on skiing ability and experience. Group lessons include 2 sessons a day, both morning and afternoon, with a total of 4 hours spent on the slopes. Kids Lessons include an 'all day lesson with lunch' which is a good choice for kids that already have a lift pass and their own ski gear, Or, the 'full works' which includes a lift pass, lesson, ski hire and lunch. The Private Lesson option gives you a private lesson from one of NZ Ski's internationally qualified ski school instructors to guarantee an improvement in your abilities. NZ Ski have one of the largest ranges of ski hire in New Zealand. All the latest gear is available for hir, from ski, snowboards and clothing. The team's on-site technicians ensure rental equipment is kept in excellent condition. A daily bus service from the Snow Centre on the Ground Floor Station Building on 9 Duke Street, is available every 20 minutes from 8.00am to 12.00pm with pick up en-route. Hotel pick-up service is also available.